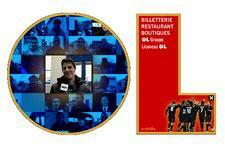 To wish someone a great 2006 with the colours of OL, download the Olympique Lyonnais New Year’s Card. This year, the players and staff of your favourite team have got together to send you their best wishes! To send the 2006 OL Card on to all your friends, you just have to download it.